Cowboy poetry is a form of poetry which grew out of a tradition of extemporaneous composition carried on by workers on cattle drives and ranches. 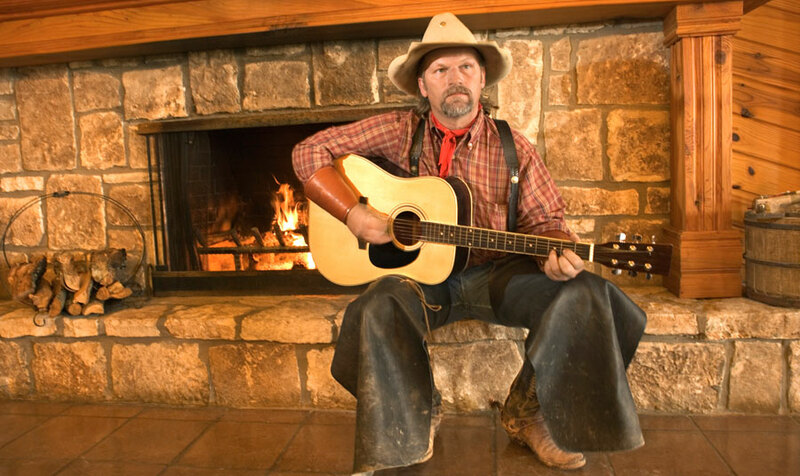 After a day of work, cowboys would gather around a campfire and entertain one another with tall tales and folk songs. Illiteracy was common, so poetic forms were employed to aid memory. Contrary to common belief, cowboy poetry does not actually have to be written by cowboys, though adherents would claim that authors should have some connection to the cowboy life such that they can write poetry with an "insider's perspective". Newcomers are surprised to hear cowboy poetry that is contemporary. Many people tend to focus on the historic cowboy lifestyle, but the work that cowboys do continues. The cowboy lifestyle is a living tradition that exists in western North America and other areas, thus, contemporary cowboy poetry is still being created, still being recited, and still entertaining many camp visitors around campfires and convention halls. Much of what is known as "old time" country music originates from the rhyming couplet style often seen in cowboy poetry along with guitar music.